Ben Finn and his brother Jonathan invented Sibelius and founded the company of the same name. 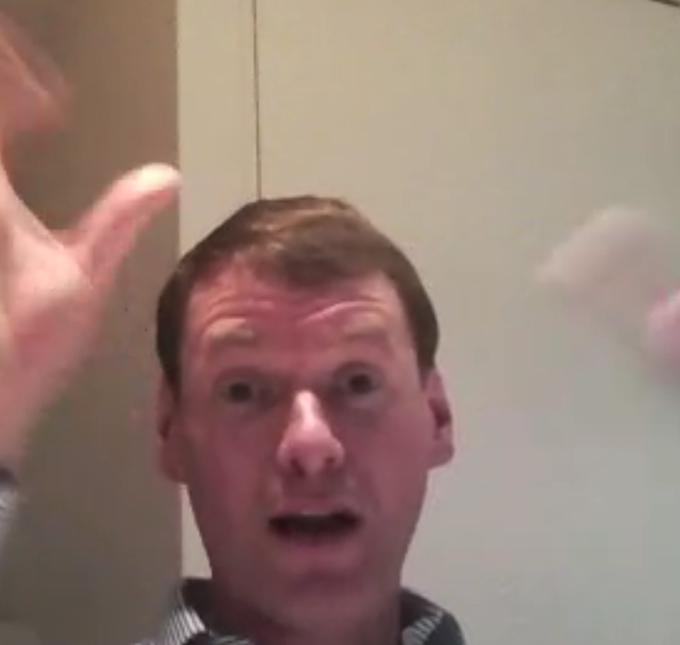 Ben recently spoke with me via video chat from his home in London. Part 2 of 2 of our conversation appears below. Part 1 was published on June 23, 2015. Q: What led up to the decision to sell the company? Had you felt that you had taken the company as far as you could? We had continued to expand the company and improve the software; by then we were at version 4. Yes, it became clear that we had taken the company about as far as we were going to take it without adding more products. We were in every country that we could manage; we had almost as many users, including schools, that we could reasonably expect to get; we had added a few smaller products for education. It was clear that something else was going to be needed to take it onto the next level, and that was beyond what we could do. We started thinking about things like sequencing that hadn’t already been done. It was the case at the time that there were no sequencers that were aimed at the education market. Could that be done with Sibelius or did it need to be a separate product? Things like that. But we had no experience in that field, and there were a number of top professional products out there already, so we couldn’t just sit down one day and say that we were going to write a sequencer. So that’s where we were, where we had product ideas that were way beyond our capabilities with the company as it was. That was part of the motivation behind selling the company; we couldn’t take it to the next level on our own. Also, we had been working on Sibelius for twenty years at that point, since high school. By that time, other people had taken over most of our jobs: Jonathan was no longer CTO; I hadn’t been CEO for several years, having brought in Jeremy Silver. We started looking at companies we knew, like Avid and various other companies, and thought, what can we do with them? Q: Had you been approached by other companies or was it more that you were seeking potential suitors? A bit of both, but ultimately it had to come down to our decision. Either we were going to go ahead with a sale process or not. We could readily see who would be interested in buying us. Q: The sale was reported in 2006 at $23 million, with you and Jonathan netting about $16 million. Is that accurate? Roughly, yes. 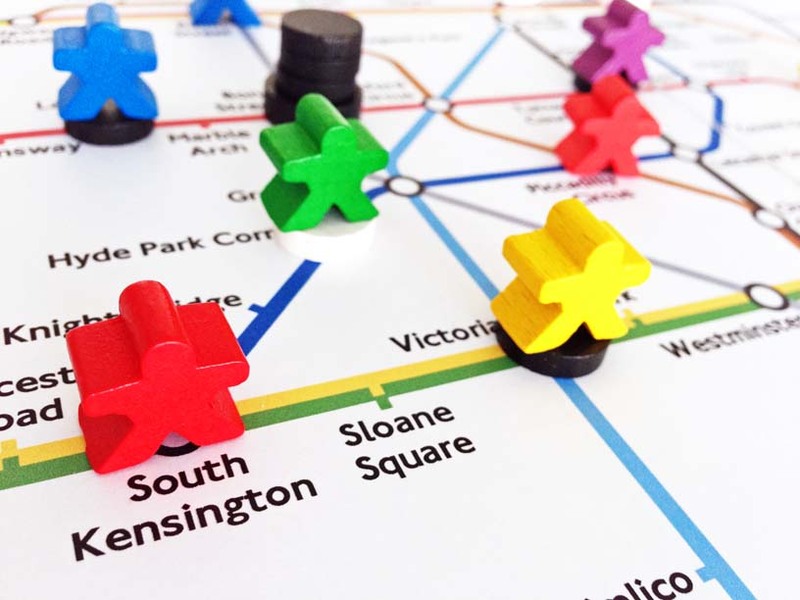 We had a venture capitalist [London-based Quester, now park of SPARK Ventures] who received some of the money, and some went to the employees as well. Q: And the nature of the sale was that Avid would own the entire company, intellectual property and all? Yes, they bought the whole thing; we had no stake in it after that. That’s how it almost always works. Q: How did you feel after selling Sibelius to Avid? We were very happy. We had sold it to — what was then — a successful buyer that had lots of other things they did that were related to our business. There were lots of potential new markets and associated products that Sibelius could be linked in with. 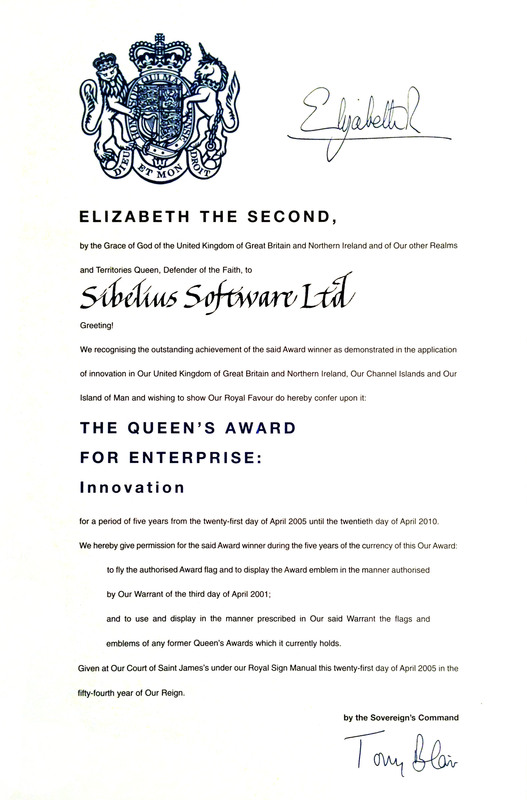 There were new avenues for our development team to be doing lots of other things, and for other people to be brought in to help out with Sibelius. There was lots of potential there, and that was good. Q: Did you think that Avid was the ideal fit for Sibelius? They were certainly the best-looking fit, yes, in terms of companies who covered music software and hardware of a variety of kinds. We suited them very well, too, because at the time, they were very big in the professional market, as they still are today, and they were big in the consumer market. But they weren’t big in education. So we fitted in very nicely. We filled in a substantial portion of the educational market for them, and also created the opportunity for other things, like educational sequencers, and other new product ideas we were thinking about. Q: Was the general feeling at the time good, that this move was a positive investment in the company? Yes, absolutely. This had all been done with the close involvement of the rest of our management team, and they continued to run the company. They had big, exciting plans for what would happen with Avid afterwards. Q: Were you involved at all with Sibelius or Avid afterwards? What was your role, and what did you do afterwards? I did some consulting on Sibelius, as and when required by the terms of our agreement. But it was no longer ours, and it was not my place to interfere; it was a totally different situation. I tried to keep out of it as best I could. After we left, Jonathan and I have been working on a variety of software and business projects. We’re very keen on card games and board games. On a different front, partly because of business and partly because of software, I’m very interested in the stock market, and I’ve written quite a lot of software to crunch market figures and data. So I’ve been keeping my hand in with those types of things. I’ve also been approached to do some consulting for software startups. 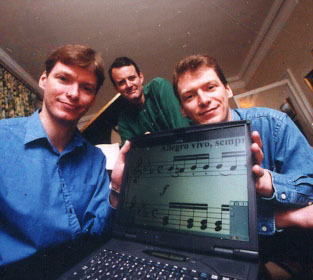 For example, there is this new product called the Seaboard, which has received quite a lot of publicity here in the UK. It’s a MIDI keyboard in which the keys are a curved, continuous surface. In a way it’s like an ondes martenot, because you can play it normally but you can also slide around it. It uses sophisticated haptic feedback, so it’s like aftertouch on a MIDI keyboard but much more so. The inventor of this device approached me while it was in development and I gave him some advice on commercializing the product. Q: Had you wanted to pursue these types of endeavors while working on Sibelius? To be honest, I didn’t have any clear plan about what I would do post-Sibelius, and I don’t think Jonathan did either. It was really a case of us just trying out a bunch of different things and seeing what worked. 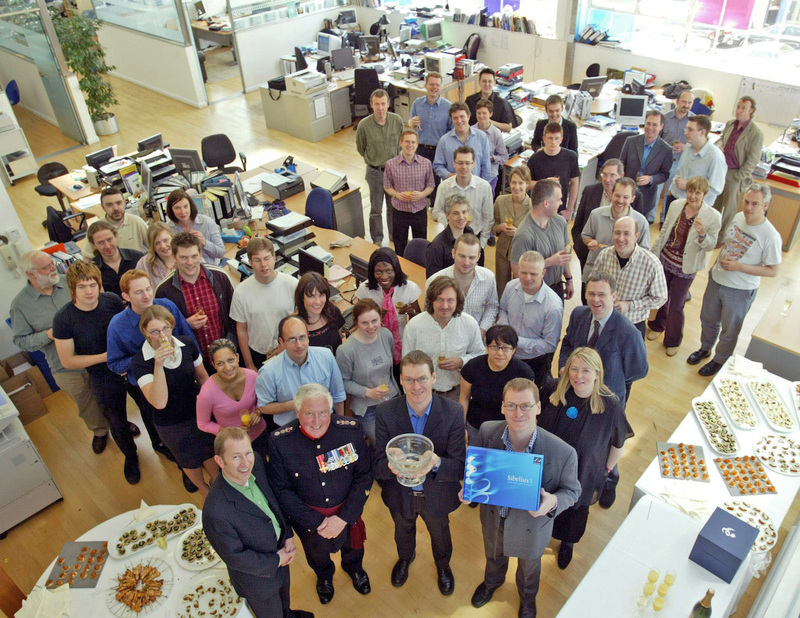 Q: In July 2012, Avid announced its plans to fire most of the Sibelius development team and close the London office. Several weeks after that announcement, you authored a post on the Sibelius forum which I believe are your only public remarks to date about those events. In it you said that you “have been quietly trying to do everything we can to change this situation, including twice offering to buy Sibelius back from Avid. However, Avid has declined.” Can you comment on that? We heard about the news as everyone else did, when it became apparent that the development team was going to be fired. But prior to that, as I think is public knowledge, about a year or two after we sold Sibelius, Avid started reducing head counts. I think this was due not to competition on the music side of their business, but due to competition on the video side, which is Avid’s mainstay. What once required a very sophisticated software and hardware solution that was a source of great revenue for Avid was becoming increasingly available to replicate on a regular laptop. So this meant that it was getting harder and harder for Avid to make money. As I understand, they downsized the entire company and started letting go lots of staff, including many of the Sibelius employees, until they were only left with the development team. So that was obviously a very galling situation. We looked at the whole situation during that time and wondered what, if anything, we could do about it. We had no control over the situation; we had no stake in the company or its direction. So the only possibility was to try and rescue the Sibelius part of the company by buying it back. There was nothing else we could do. So we did approach them twice offering to do just that. It didn’t work, despite our best efforts. By the second time we approached Avid, the development team was already about to leave. It was public knowledge that they were going to be let go, and it was too late by then. As far as I know, that is the case. I don’t have an inside track, but Sibelius has always been profitable from day one. Sibelius has never made a loss. In 1993 we were profitable, and continued to be profitable. As far as I know, after Avid took it over, it carried on being just as successful as ever. I imagine that by letting go a load of staff, in the short term, that made things even more profitable, because suddenly a large cost is gone. Though the long term effect, of course, might well be different. So I have no doubt that Sibelius must have been making Avid lots of money. Q: What did you offer to buy Sibelius back for at that time? I think I can say we didn’t manage to get as far as actually discussing figures. Q: You had said that you felt “very sad about this treatment of [your] friends and colleagues who have been key to making Sibelius a success, and who have become the world experts in this specialized field.” Yet you also hoped that “Sibelius nonetheless continues to be the world’s most successful music notation software.” Do you still feel that way today? Yes, absolutely. I have no reason to think it’s not [still the most successful music notation software], though I don’t have the sales figures, of course. As far as I know, Sibelius is still selling very well. Q: If you knew in 2006 when you sold the company that subsequent events would transpire in they way that they did, would you have still sold Sibelius to Avid? The fact that we tried twice to buy it back answers that question, I think. Q: Do you still use Sibelius? I do, yes, and I still occasionally compose with it. Q: Do you feel that it still represents the vision that you and Jonathan had? Yes. It’s obviously gone well beyond our original concept, but it’s still in there. If we were to start all over again, like we did for the Windows version, I’m sure we would do things a bit differently. There are certainly some fundamental things we would change, but I basically feel that the structure’s right. Q: In the program’s credits, your name and Jonathan’s name are still listed at the very top. Q: Yes, under “Original Concept.” What you think about that? That’s good! It was originally ours! None of the code in it is mine — I never wrote the Windows code, but a lot of it is still Jonathan’s, I’m sure. It’s still a good feeling, and I’m glad, despite the development team having been let go, that the program hasn’t crashed and burned, so to speak. Q: What’s your take on the field now, since that development team has left Avid and is now working on a new, competing product? I think it’s a very interesting time and situation. The market looked like it was all sewn up with two programs — Finale and Sibelius — but of course, software does gradually date in a way. User interfaces date, software dates, and the world improves. Computers get faster and change; there are things like touch screens, which there weren’t originally. So in a sense, potential appears for radical improvement, and like I said earlier, if we were starting all over again we would change a few things fundamentally. So you effectively have the Sibelius development team now working on a whole new program right from scratch. And they’re obviously the world experts. From what I’ve seen on their blog, they’re doing an even more elaborately thorough job of it than we did, certainly in terms of engraving. I’m sure they will do an excellent job. Just what will then happen at that point, I don’t know. Because you’ll have three excellent programs jostling for position in what is still quite a niche market, although it’s considerably bigger than when we started, because, in a sense, we created half the market. Q: Have you kept up with the recent developments with Sibelius, and what do you think the future holds for Sibelius? I simply don’t know, as I haven’t been following it too closely. I don’t have any inside knowledge about it. Q: In addition to the two (and potentially three) commercial desktop programs that we’ve discussed, there are also free programs like MuseScore and LilyPond, web-based solutions like NoteFlight, tablet software like StaffPad and Notion (which is also a desktop product) and many other music notation programs. It seems like there are lots of players in a relatively niche market. And there always have been. In the late 80s and early 90s, there were loads of these programs. Although they died back somewhat, there were still serious attempts popping up regularly in the 90s and 2000s. But it’s so difficult to write a program that meets professional needs, that almost everyone else fails, or they have to make a more limited product. It is extraordinary that this niche and difficult task keeps being attempted by people. As far as the newer programs, I must say that I’m not fully up to date on all of them, but I surmise that when Steinberg comes out with their new program, having three really strong programs in the market will be more than enough, and will make it pretty much impossible for anyone else to enter the market with a professional program. Though it may not make it impossible for someone to survive in the market with an app that does lots of useful stuff but is not comprehensive. But in terms of comprehensive professional-quality music notation, I can’t see how you could ever have more than three. Because you have to make money, and you have to pay staff. You can’t do that unless you have market share and are making some serious money. You can produce a simple program for not very much money, and either give it away or sell it for not very much, and maybe you can make a living from that. You can’t, however, create a program that requires a team of ten or twenty people just to develop it over many years. That costs millions of dollars, and that’s got to come from somewhere. Q: Speaking of market share, at the time you sold Sibelius to Avid, what was its market share? It was a bit bigger than Finale. Sibelius had something like 50%, Finale had 40%, and other programs had 10%. It was the market leader. Q: Any other recollections that make you reflect on how far Sibelius and the rest of the field has evolved? When we first did our initial projections for what we thought Sibelius’s market was, we predicted that we’d sell 600 copies. I don’t have the latest figures, naturally, but I think since that time Sibelius has sold something like 600,000 copies — 1,000 times more than we first thought. Just a few days ago I went back to my old high school as part of a careers day. The students there are the same age now as Jonathan and I were when we first started creating Sibelius. It was one of those “when I was your age” type of encounters. These children have all used Sibelius themselves, because the school is full of copies of it! It’s not just musicians, it’s all kinds of students that are using it, and they can’t quite believe how were we working on it when we were their age. I remember the very first printout that we ever did with Sibelius, which was actually quite close to release, because we couldn’t afford a laser printer — those were the days! We had to have a PostScript printer, and an Apple LaserWriter cost something like $2,000 at the time. So we hired one for a day and stayed up all night trying to finish. We had written our own PostScript driver… but that had bugs in it, and it wouldn’t output until we’d fixed all the bugs. So we stayed up all night, and then at 6 in the morning, out popped a page, which miraculously was almost perfect notation and engraving! It was only months away from release, and it was the first time we actually had a printout. This was so astonishing that it popped out perfect, that we both signed it and wrote the date and time on it. But then we seem to have lost it, which is a real shame! 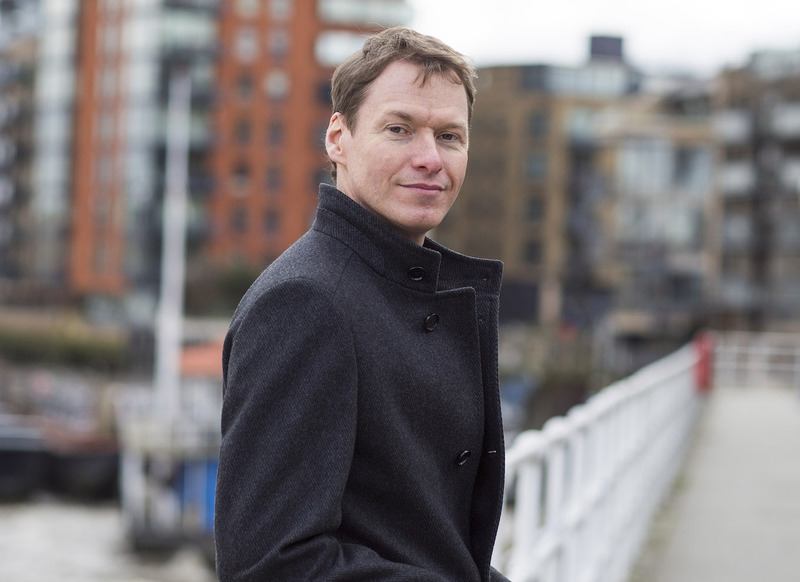 If you missed part 1 of this interview, in which Ben talks about his background, the early days of Sibelius, evolving the software, and growing the company into the market leader, you can read it here. All photos courtesy Ben Finn, except the photo of the closed London office of Sibelius, which was taken by Daniel Spreadbury and originally published on this blog. Magical. Thanks Phil and Ben. This is great. Thank you Philip and thank you Ben. Great article. I love the line, “But then we seem to have lost it, which is a real shame!”. Neil Sands and I visited the London office of Sibelius a number of years ago, and got to meet Daniel and Ben and Jonathan, and they all took time out of their day to talk with us. That was magical too. Thanks for the magic, Ben! They did. It was great. I was dumbstruck by meeting Jonathan. Found nothing to say to him. Never meet your heroes! Seconded Neil. My claim to fame is meeting Ben in London too and I found the same. Totally tongue tied (It doesn’t happen often I should say!). Fascinating. 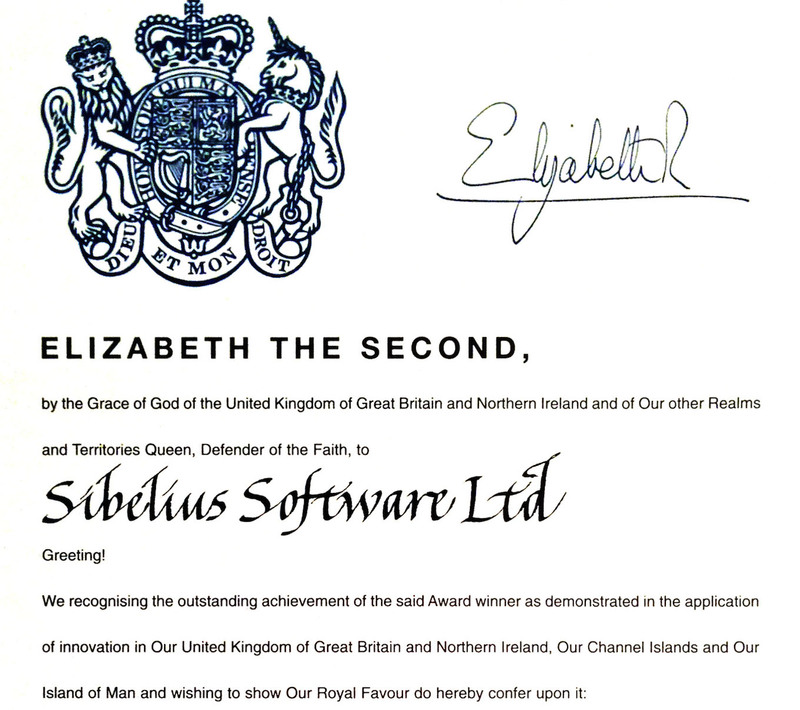 I remember receiving, from Cambridge, a promotional copy of the Sibelius 7 (for Acorn) manual after calling the office and asking if there would ever be a version for Mac. There were no plans then so it was suggested to me that I might consider buying an Acorn computer. I didn’t, and the person I was talking to conceded it probably was best to stick with the Mac anyway. Much later I received the news the Mac version was in development, so it turned out to be the right decision. In a strange way however, I now wish I’d made the ‘wrong’ decision and bought that Acorn machine – to be a part of that history. Peter McAleer – I was one of the early Notator users before upgrading to Sibelius so I still have my original Acorn Risc computer safely stored in the loft! History indeed. Great article Phillip and thank you for posting this interview with Ben. As you know, we’re coming up on the third anniversary of Avid’s blood-letting of the Sibelius development team, July 3, 2012 if memory serves. I have thoroughly enjoyed the Sibelius Blog. Always a pleasure to read! This was such a nicely done interview. Thanks for bringing this history out. 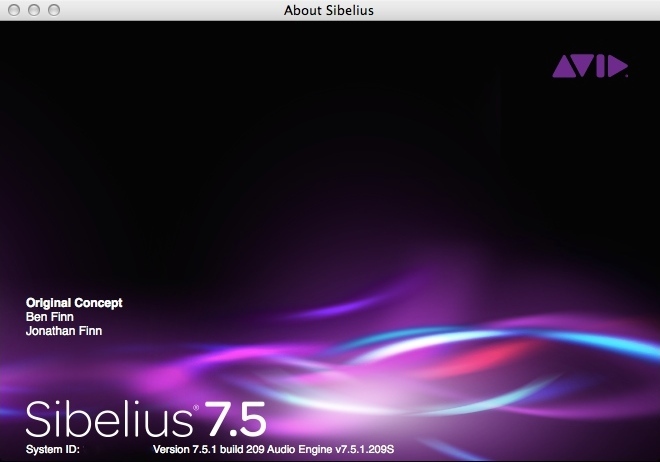 I first purchased Sibelius 4 and have enjoyed using it for arranging and some composing. When the sampled sounds came out, I was having major geek outs about it. I’m very excited about what Steinberg is working on. Wish more were known. Thanks, everyone for the nice comments so far, and of course to Ben for participating. Absolutely fantastic, thank you so much Philip for posting this. A wonderful interview. But it let me with a sad perspective…to know Ben and Jonathan now are far away from any Sibelius development makes me feel orphan. Very fascinating insights to how this all came about. I love learning from the successes and challenges of others. Thank you for sharing, Phil! Vous ai lus et je crois bien suivis..Merci. This is a most interesting interview, and shed much light on the Finn brothers’ substantial contribution to music. Unfortunately, they broke Rule Number One: if you care about something, do NOT sell it to an American company. Did no-one tell them? For me, they also broke another rule: do not charge your own compatriots more than you charge the denizens of the USA – then and maybe now the richest in the world (at one time the UK price was twice the USA price). When I asked about this, I was told “that’s how the world is” – an odd response, I thought, from people who were in the business of changing the world! Thank you, Finn bros, for the best notation app ever–I’ve recommended it to so many composers and used it since the birth of the Mac vsn. Now Avid has dumbed it down, making it so much more clumsy to use by a trained musician. It’s just so sad. Looking forward to Dorico. Thank you Philip. Wonderful interview. The audio recordings of Ben were a nice touch. For all my time cursing at Sibelius late at night I definitely owe a lot to the Finn brothers!